Use your debit card to send a one-time contribution of any amount to become a member of the #BringTheFunk Fan Club and to support the #RolandMartinUnfiltered Daily Digital Show. Visit cash.me/$rmunfiltered to join the #BringTheFunk Fan Club with a one-time contribution using your debit card. Please include your email address when submitting your contribution to the #RolandMartinUnfiltered #BringTheFunk Fan Club when using the Cash App. #RolandMartinUnfiltered is a daily digital show broadcasting from Washington D.C. that will focus on issues important to our community. With award-winning journalist Roland Martin at the helm, #RolandMartinUnfiltered will deliver breaking news, fiery commentary on hot-button topics, intense debates on the issues and in-depth interviews with newsmakers and celebrities. This one of a kind live streaming experience will be delivered to viewers via multiple streaming platforms, including Facebook Live, Periscope, YouTube and IGTV. Viewers are welcomed to live tweet the show, comment on Facebook Live and on YouTube in real-time. During the broadcast, Roland may respond to viewers’ comments live on the air allowing them the opportunity to connect directly with the four-time NAACP Image Award recipient during the daily broadcasts. 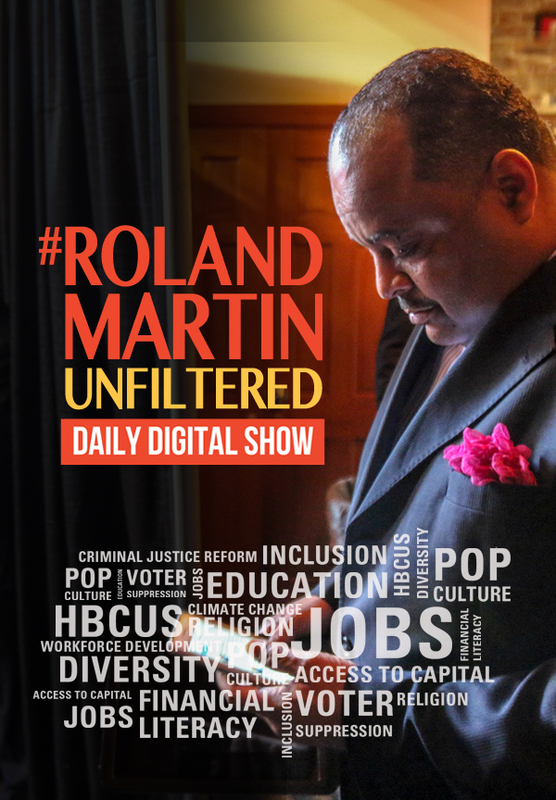 Roland Martin Unfiltered will also be available on Roku, Apple TV, Amazon FireTV, and Chromecast. For those who want a more personalized experience and for those who want to support #RolandMartinUnfiltered, NuVision Media, Inc. has also launched the #BringTheFunk Club. Those who sign up to support the show through the #BringTheFunkClub will receive special perks, incentives, gifts, and exclusives. Corporate sponsorships are available for those entities who want to have their respective brands promoted in front of an ever-growing audience that is largely made up of Millennials, Gen Y, and Gen X’ers. All of this presents a unique opportunity to bring the African American community, which according to Nielsen wields $1.3 trillion in spending power, a daily news program that disseminates information ignored by mainstream media and brings diverse perspectives to a media landscape that largely marginalizes them. #RolandMartinUnfiltered is slated to officially launch in the September 4th, 2018. With the launch of this groundbreaking program just a few months away, now is the perfect time to sign up for the Roland Martin Mailing List, become a #BringTheFunk Club Charter Member or become a corporate sponsor of this unique and informative program.